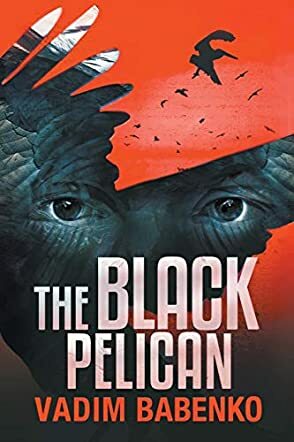 The Black Pelican is a work of literary fiction written by Vadim Babenko and translated from the Russian by author Henry Whittlesey. The reader sets out on a journey with the narrator, a young man who has left the capital city. He's divested himself of his belongings and his job, and is headed for the city of M, armed with a secret that he holds close. Vitus has become disaffected and disappointed in life, and feels that the only solution is to murder Julian, a co-worker who got the promotion he should have had and who stole Vera, the newly-wed assistant who Vitus had seduced within three weeks of her marriage. Julian is somewhere in the city of M, and Vitus is ready to hunt him down. He finds a hotel in M, and the innkeeper seems oddly eager to help him with his search. Vadim Babenko's literary novel, The Black Pelican, is not a simple book to read, but there are marvels and mysteries waiting within its pages, as well as fantastical dreams and images. It is peopled by saints and sinners and all manner of beings. This was one of those books that made me smile to myself as I read the opening lines and realize that I reading something very special indeed -- and I was in no way disappointed. The Black Pelican, in fact, exceeded my wildest expectations. It is an amazing work that called to mind other 'difficult' books such as Umberto Eco's Name of the Rose, Mann's Magic Mountain and Broch's Death of Virgil. It's that good. The Black Pelican is a truly awesome read.